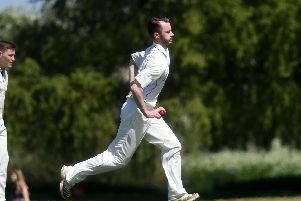 Great Brickhill slipped to fourth in Cherwell League Division 1 after losing by three wickets to Tiddington. After losing the toss and being put in to bat, Brickhill got off to a good start with a steady 43 by Mark Nelson. Tiddington spinners began to build pressure and Brickhill were in trouble at 131-5 with starts from all the top five. George Morris battled for a well fought 37 supported by Lee Morgan as Brickhill finished all out for 190. Brickhill had a tough job to defend 190 but started well through James Wagg who removed both openers. Jack Woodhouse put the game in the balance with three quick wickets and the visitors were 90-5. A match winning partnership between Nick Pyckit and Ben Smith steered Tiddington to victory finishing on 191-7. In Division 3, Great Brickhill 2nds remain rock bottom after a comprehensive thumping at the hands of Oxford and Bletchingdon Nondescripts. 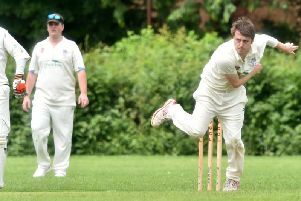 Nondies batted first on a wicket that offered some assistance to the Brickhill bowlers early in the innings, and at 45-3, the home side looked to be struggling against the pace and seam of Kieran Burke (4-48) in particular. A 180-run partnership for the fourth wicket changed the direction of the game, however, and Nondies finished on 292-7. Glenn Burrows (2-49) helped keep the chase in check while young spinner Dylan Cilliers put in another tidy spell and was unlucky to go wicketless. The Brickhill response however was never competitive, Nondies’ openers reducing the visitors to 50-7 before some spirited batting from Ahad Khan and Asif Khan gave the Brickhill batting a measure of respectability. Brickhill, though, went down by a mammoth 206 runs. There was better news for Great Brickhill Sunday 1sts though as their winning run extended against Cople. Brickhill won the toss and elected to bat first, getting off to a quick start through a rapid-fire 37 from Austin John. Brickhill lost wickets at regular intervals to impressive Cople bowling, and the visitors reached a total of 179-8. Kieran Burke (2-22) pegged back the home side before Asif Khan (2-27) removed the back-to-back centurion Robert Draper for just 10. Cople continued to hit big, but it was spinner Wasim Fayyaz (3-22) that removed the dangerous Zohaib Khan for 56 just as the game slipped away. James Wagg (2-49) mopped up the tail, Brickhill winning by 32 runs.